The original Galaxy S was famously skinny and light, and at just 8.5mm thick, the Galaxy S2 will be the thinnest smartphone on the market, effortlessly pinching the 9.3mm iPhone 4's crown. The Galaxy S2 will be familiar to those Sammy fans who picked up the original Galaxy S (to which we gave a glowing review), with a super-light plastic shell and brilliant AMOLED touchscreen. Click here to launch our gallery of Samsung Galaxy S2 pictures. 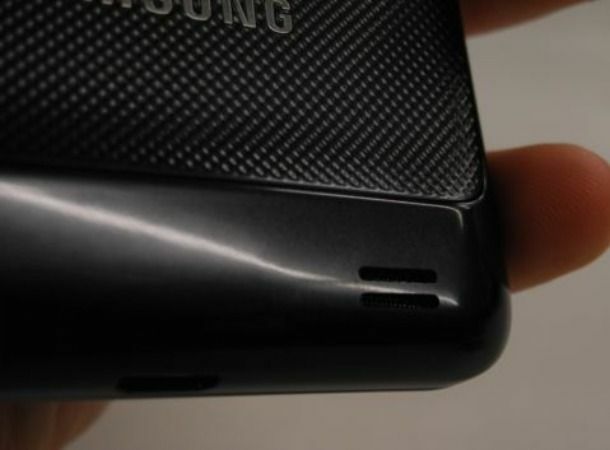 The screen on the Galaxy S2 has been beefed up from 4-inches to 4.3-inches. In the past we've found large-screen handsets like the HTC Desire HD a bit chunky for some users, here paired with the device's slim side-on profile the Galaxy S2 actually sits very comfortably in the hand. Into this shell Samsung have found room for a dual-core processor and 1GB of RAM, 16GB or 32GB of storage as well as the Near Field Communication (or NFC) technology seen in the Google Nexus S, which will, at some point, allow the transfer of data and money in a similar way to an Oyster Card. The Galaxy S2 runs Android 2.3 Gingerbread overlayed with Samsung's TouchWiz 4.0 UI, which is a joy to navigate and now comes with 3D graphics. The Galaxy S2's number one selling point is its Super AMOLED Plus display - which is blacker than black and with almost retina-burningly bright contrast. Aside from an excellert film and video watching experience, the AMOLED technology uses less power than LCD displays. If you're buying a mobile primarily to watch video content either off the phone's storage or online, this is worth serious consideration. Sporting a an 8MP rear-facing snapper capable of full HD 1080p recording, the only thing it doesn't do is 3D video recording, although that's only being promised on the LG Optimus 3D, which shoots 720p quality, instead of full HD. The Super AMOLED Plus screen takes only the tiniest sips of battery to keep lit, so we hope the Galaxy S2's 1650mAH runs for a respectable amount of time when charged - although until we get a more extended chance to play with it, this is just rational speculation. Find the cheapest deals on the Samsing Galaxy S2 here. ... although exactly when that will happen remains a closely guarded secret. Samsung are promising Q2, but anything more precise than that would be merest speculation at this point.